Built for Oracle + NetSuite: No more hassle over EDI testing, spec changes or map updates. A dedicated team of experts will ensure your Fulfillment EDI for NetSuite implementation is fast and easy. And because SPS is a proud member of the “Built for NetSuite” developer program, you can be confident that your solution will meet all of Oracle + NetSuite’s standards for quality, security, and privacy. Get clear, simple answers to all your questions about Fulfillment EDI for NetSuite. Ongoing compliance, map changes, and 24/7/365 customer support come standard. Other EDI systems require a unique connection with every retail partner. This error-prone process requires costly maintenance. With just one connection into the SPS retail ecosystem, you can connect with all of your EDI partners. With pre-built maps and access to the world’s largest retail network, onboarding new retail partners is easy! Wondering how SPS Commerce compares to other NetSuite EDI integration providers? 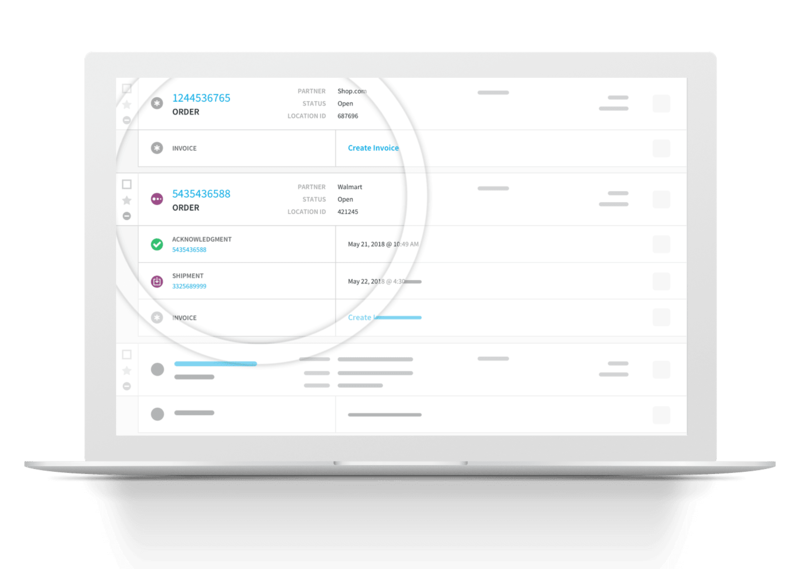 Never worry about EDI compliance again. Retailers EDI requirements constantly change. Fulfillment EDI for NetSuite lets SPS do all the work managing EDI maps or spec changes while maintaining compliance for you and your trading partners. Easy to use ASN module. Our Oracle NetSuite EDI solution completes advance ship notifications (ASN) for required ASN transactions. We also offer an onsite solution that includes scan and pack functionality to speed up the ASN creation process for absolute accuracy. Our customer results prove that an integrated EDI solution saves time and creates massive efficiency in your order fulfillment cycle. Free up your staff to focus more on innovation and growth. Minimize risk and costly errors. Free your business from a risky infrastructure that’s expensive to maintain. Reduce order processing time and unnecessary manual entry data errors. Do away with having to generate unique EDI maps for every new transaction/customer combination. SPS service includes ongoing compliance, map changes, and 24/7/365 customer support at no extra cost. The only full-service, fully automated Oracle NetSuite EDI solution you’ll ever need.